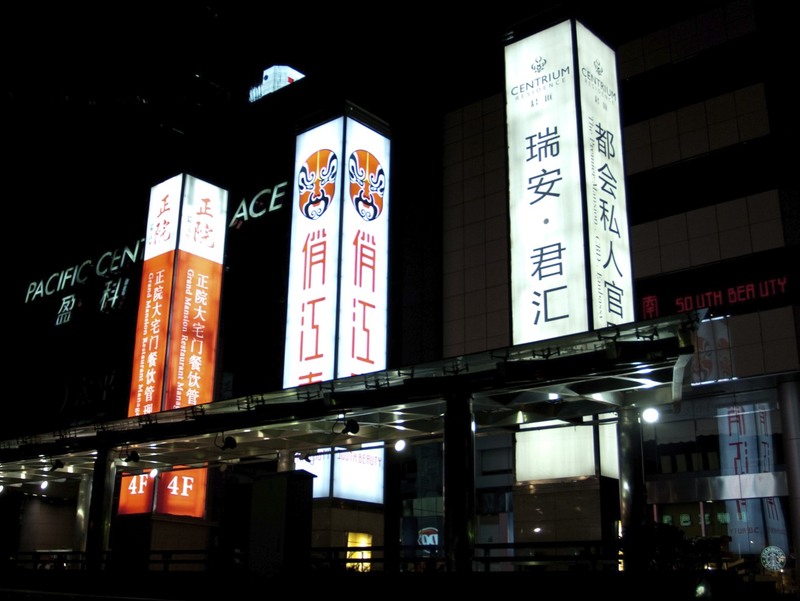 The South Beauty chain is a success story that began over twenty years ago by a lady called Zhang Lan. With as little as USD 20,000, she opened her first restaurant in 1991 and has never looked back. She now has over 50 chains in her portfolio, racking up an annual revenue of circa USD 100 million, making her one of the most successful modern day female entrepreneurs of China. 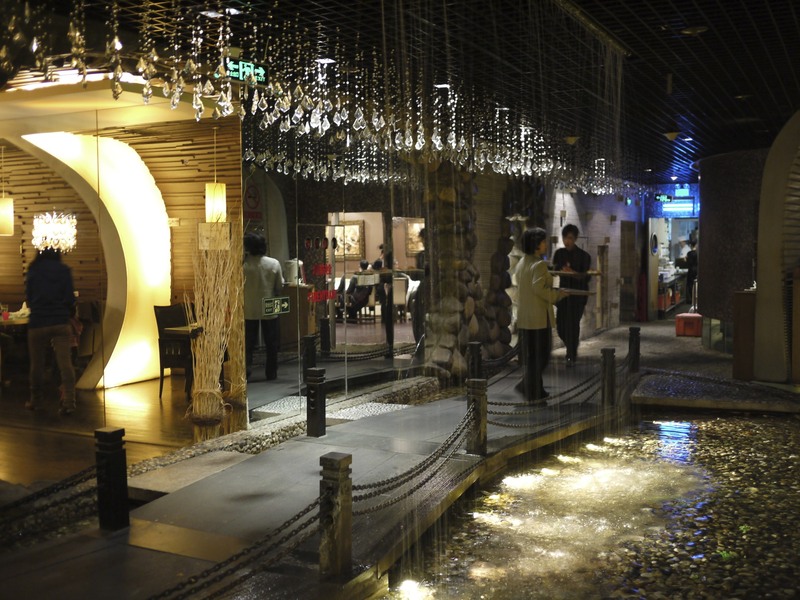 For our first evening in Beijing we decided to take it easy and visit their branch in Pacific Century Place. 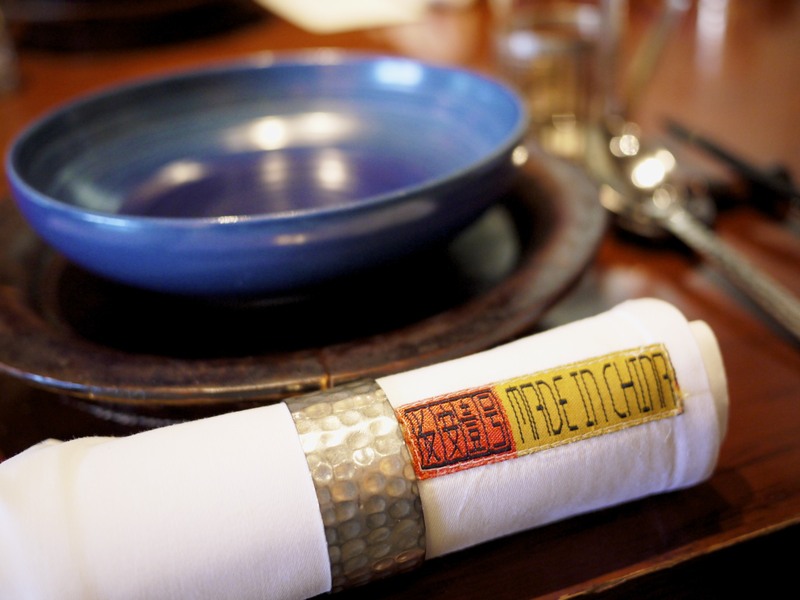 I don’t tend to go to chain restaurants but made an exception on this occasion as it came highly recommended. 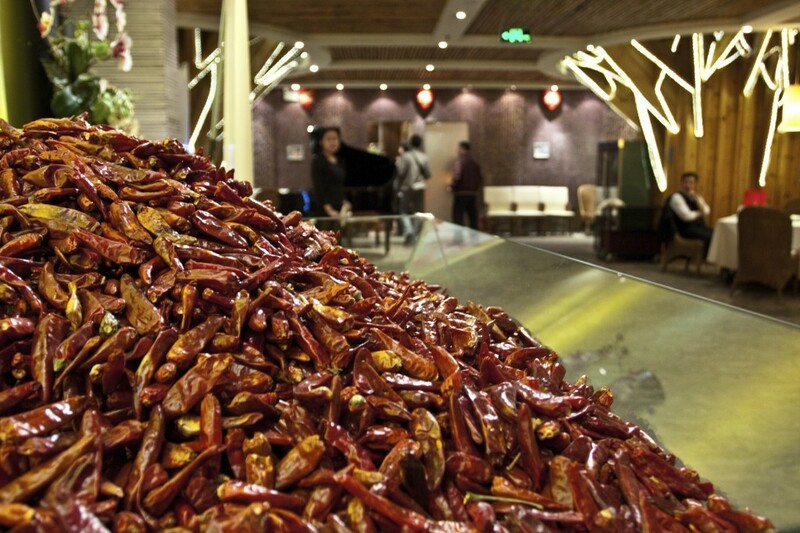 Given the mountain of chilli that greeted us at the entrance, you can probably guess what this restaurant specialises in. 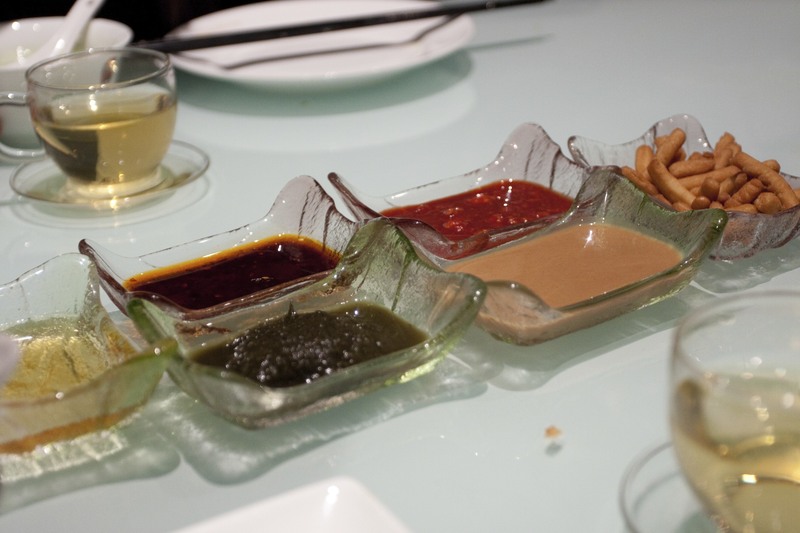 Infamously hot Sichuanese food of course! It may have been my foreign presence (given my dining companion was Kevin from Fine Dining Explorer who was undoubtedly Chinese looking) which instigated the waiter to ask if we wanted to tone down the spiciness in our meal. I didn’t want to exactly destroy my stomach on my first day so I took his advice. In hindsight, this was a very good suggestion! I left everything in the capable hands of Kevin as my Mandarin was not quite up to scratch. 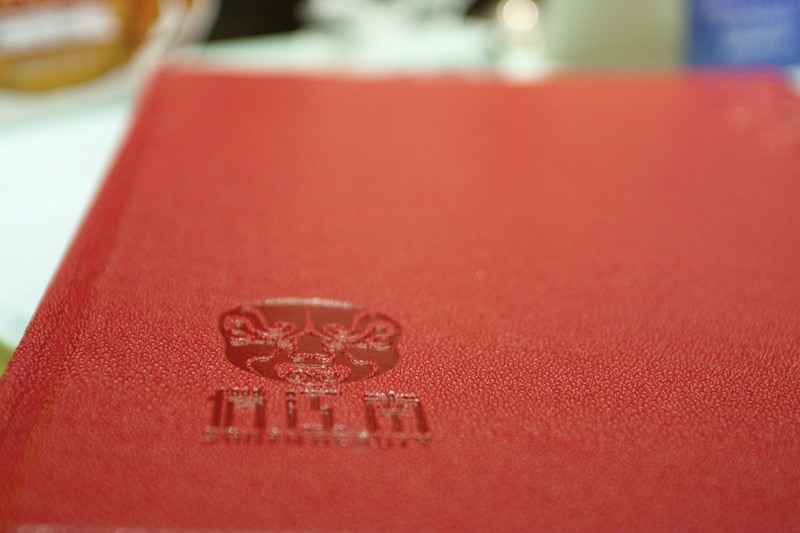 A few minutes of chatting with the waiter about classic dishes of Sichuan and we were off. 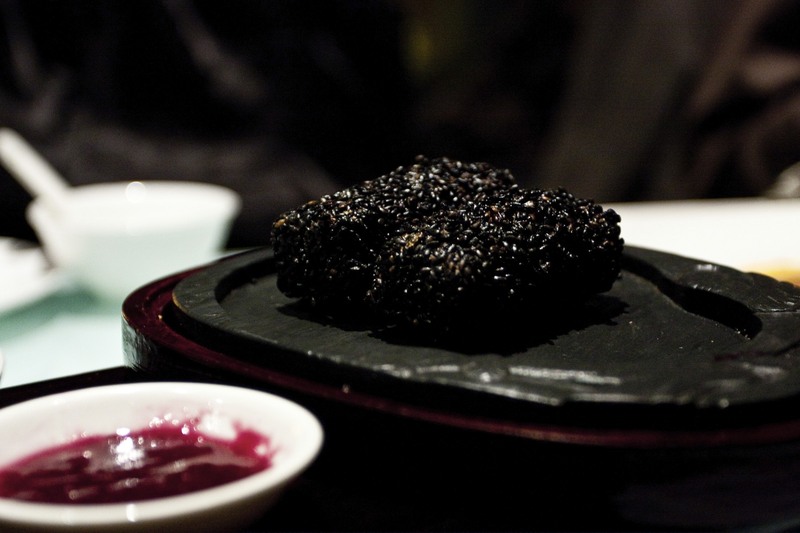 We kicked off with a few small dishes which were deceivingly spicy, including this Black Fungus that was served cold. Even Kevin had a nasty shock to his system as he took his first bite (although mind you, it turned out he had even less resistance than I did for hot food). I did enjoy the slithery and crunchy texture, although overall it did lack in flavour. 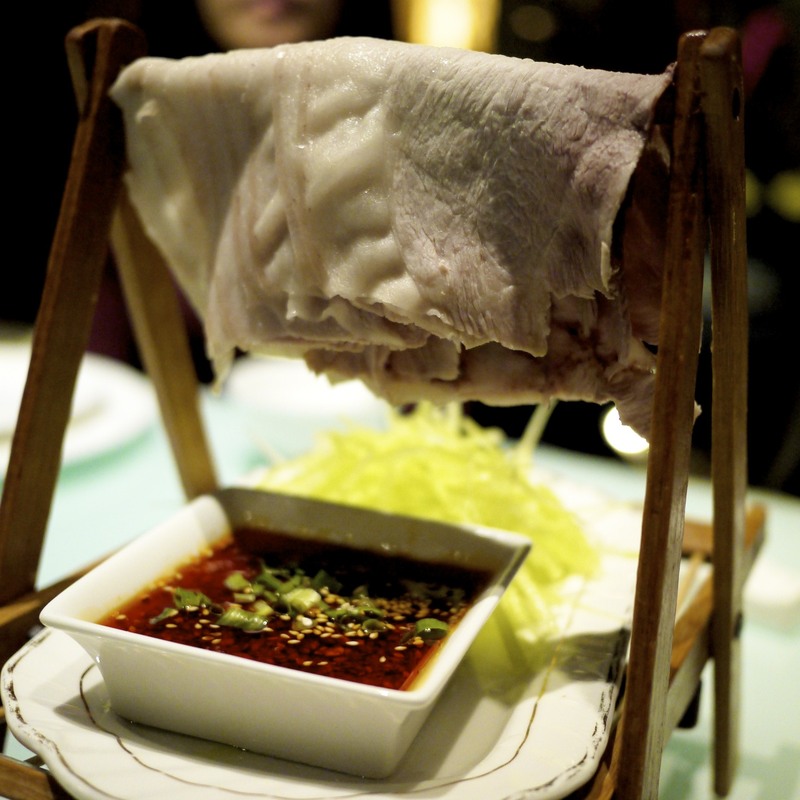 The next course, literally translated as Hanged Shirt White Meat, was one of their signature dish which consisted of thinly sliced pork served with shredded carrot and chilli sauce. It was a humorous take on how the Sichuanese hang their clothes. Who knew the Chinese were so humorous in their cooking? This dish was all about the sauce, made from the three spices of black, chilli and Sichuan peppers, as the pork was rather bland on its own. 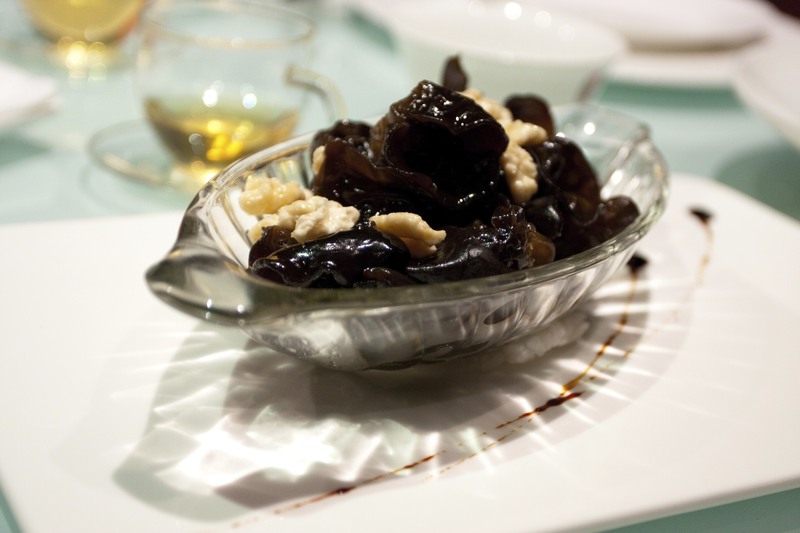 There was a very bizarre sensation of mouth numbing from the Sichuanese peppers. 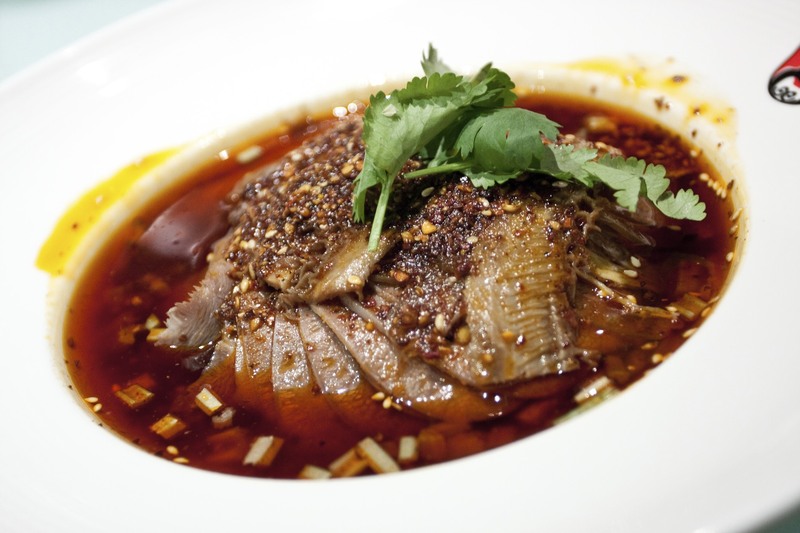 One of the best course of the evening was the Sliced Lung by the Married Couple (Fuqi Feipian) which was essentially sliced beef tongue and tripe served in a pool of Sichuan, chilli and black peppers. It was also the hottest item of the meal and possibly hotter than anything I had previously tried, ever…period. 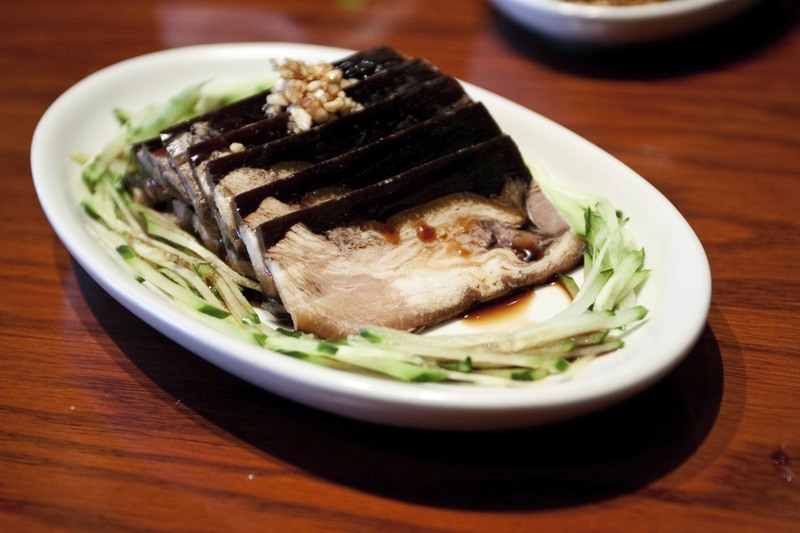 The dish dates back to the late Qing dynasty where a couple in Chengdu gained fame through their secret recipe of beef slices. As a result of some pranks played by mischievous children the name stuck, although I can assure you no lungs were in fact used in this dish ever. 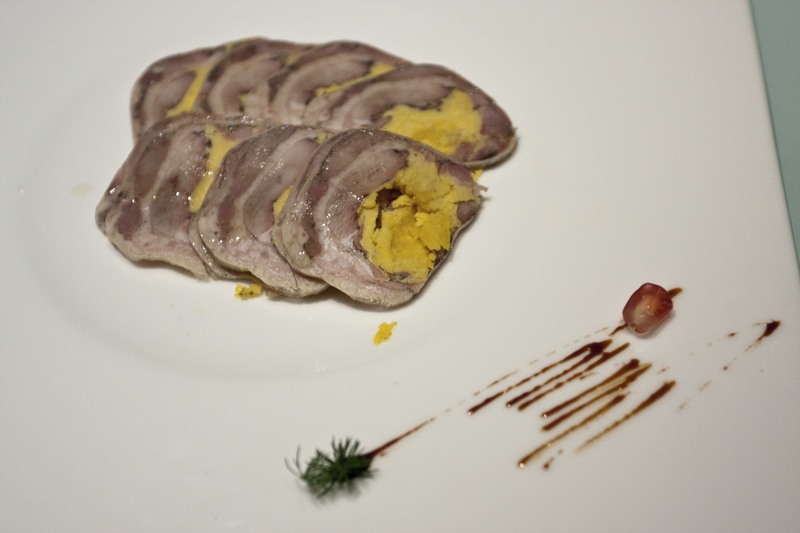 The meat used in this dish today is much higher quality slices of beef as well as a number of varieties of offal. I picked at this dish only every once in a while as I must confess the heat overwhelmed my palate, but it was so good I couldn’t stop. 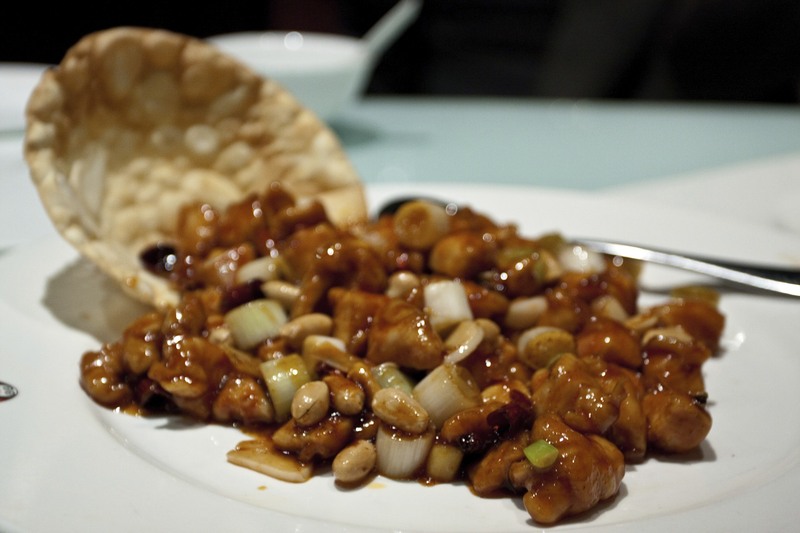 By the time our Kung Pao Chicken was served, we had become somewhat desensitised from the spice and heat. I couldn’t quite sense whether there was any heat to this but the chicken was moist and delicious, accompanied by a lovely mixture of crunchy peanuts and the sweet and crips spring onions. 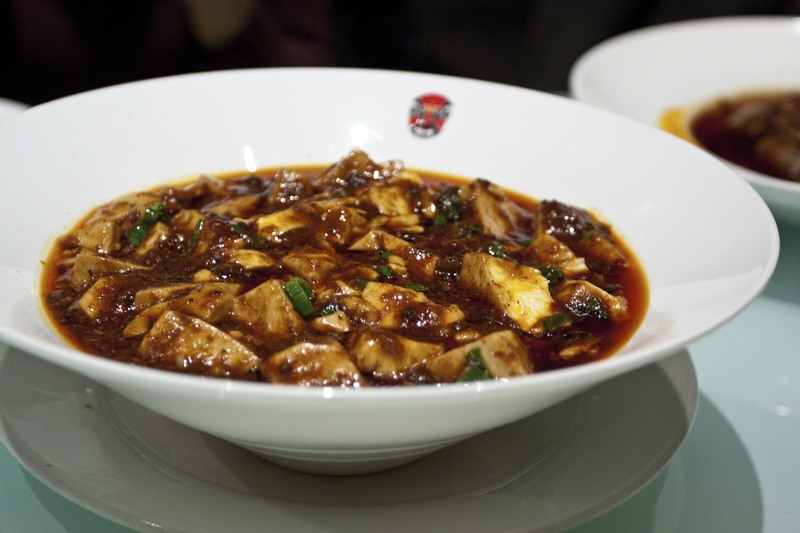 Given we were having Sichuanese I could of course not resist trying one of the most internationally iconic dish of the region, Ma Po Tofu. The dish is often described and rated by chefs for the seven specific Chinese adjectives: numbing, spicy hot, hot temperature, fresh, tender and soft, aromatic and flaky. This was nothing like any variation I had tried before. Whilst comparably hot to the beef slices, it was indeed fresh, aromatic and tender. I could however not finish this as Kevin at this point had given up after admitting defeat to the intense spice. It was too much to finish this on my own. … and Ink Stone that had been made from dried mince pork. 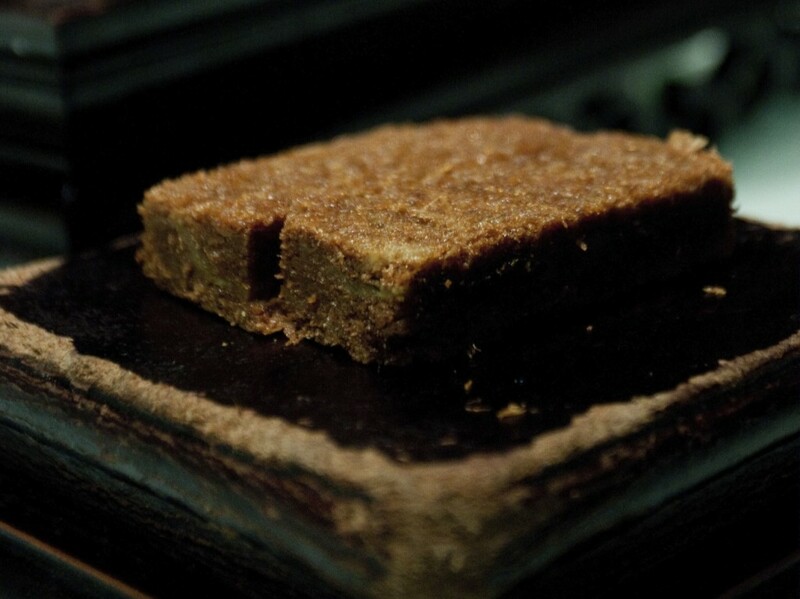 It had a very airy texture yet a contrasting crispy coating, and most surprisingly worked well as a sweet dish. I particularly liked the fact that the chef had a sense of humour which wasn’t found in majority of the other restaurants we had visted subsequently in China. 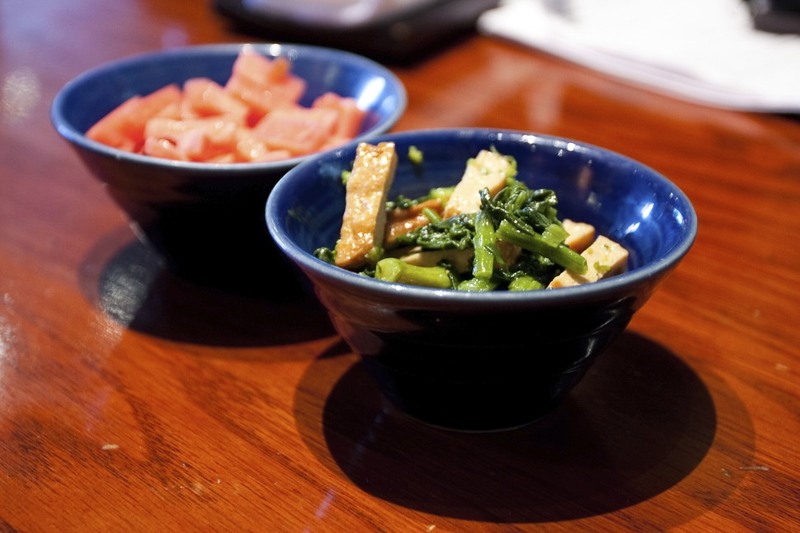 … bowl of Tofu which had been prepared next to our table. I wasn’t a bit fan of this dish. Perhaps it was me, but I found it rather bland, unexciting and one dimensional (even with the spicy sauce!). This entry was posted in China and tagged Beijing, China, hot, pepper, Sichuanese cuisine, South Beauty, spicy, Zhang Lan on September 10, 2014 by admin. What does one do when in Beijing? 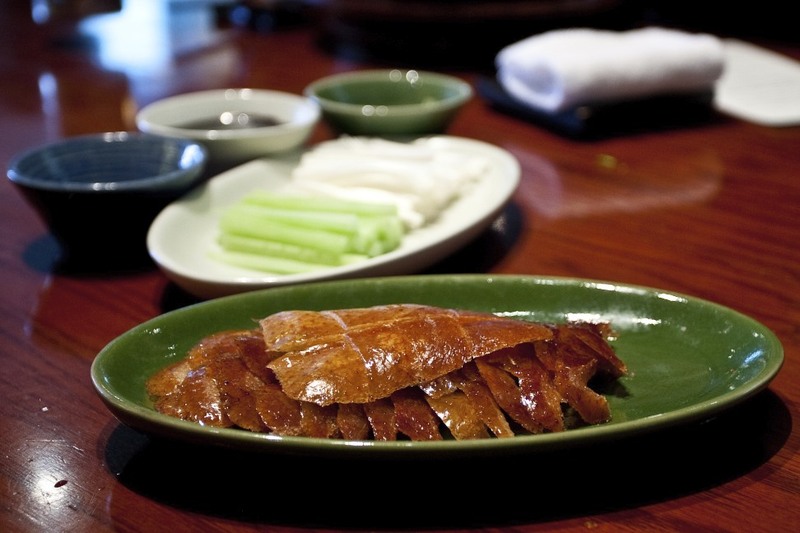 Eat Peking Duck of course, and that’s exactly the first thing I did with Fine Dining Explorer when we arrived…. and repeatedly…. during our short stay. But there was a reason for our quest. We were not looking for just any Peking Duck. 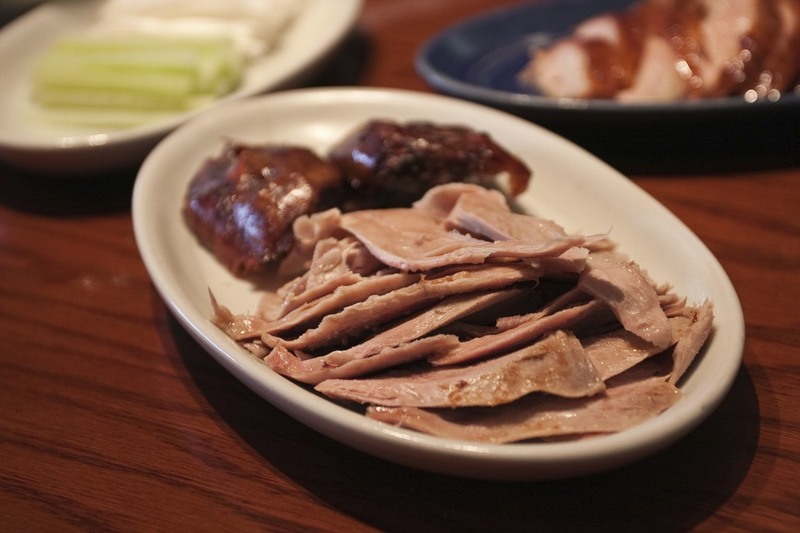 We were looking for the best, and it came to us as a surprise that finding a good Peking Duck in Beijing was a far more difficult feat than we initially imagined. 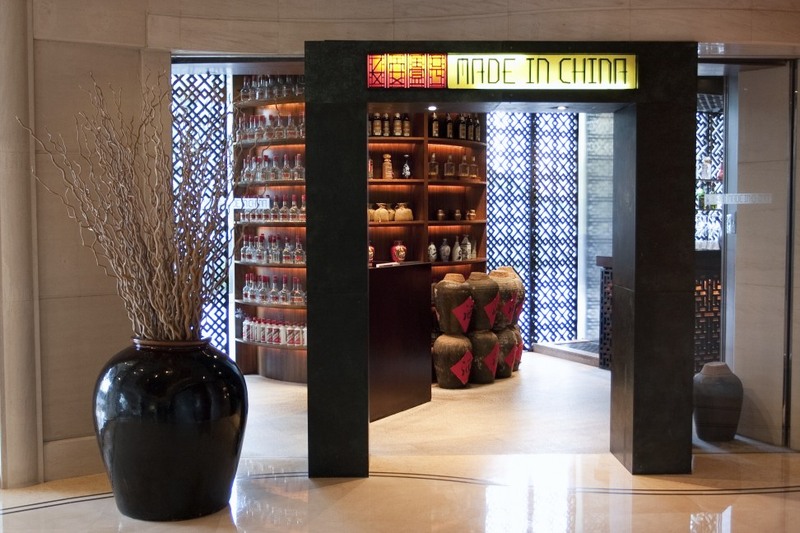 But the search was finally over when we arrived at Made in China, located in the premise of the Grand Hyatt, Beijing. If there was anything I took away from my two week gourmet blitz trip across China, it was that majority of the fine dining establishments in China were located in the five star hotels. A rather odd concept! As it turned out, given the lengthy preparation required for each duck, the restaurant had a limited number of 70 ducks on offer every day so reservation for a duck was paramount when securing a table. Lucky for me that Fine Dining Explorer organised everything up front so we had nothing to worry about. 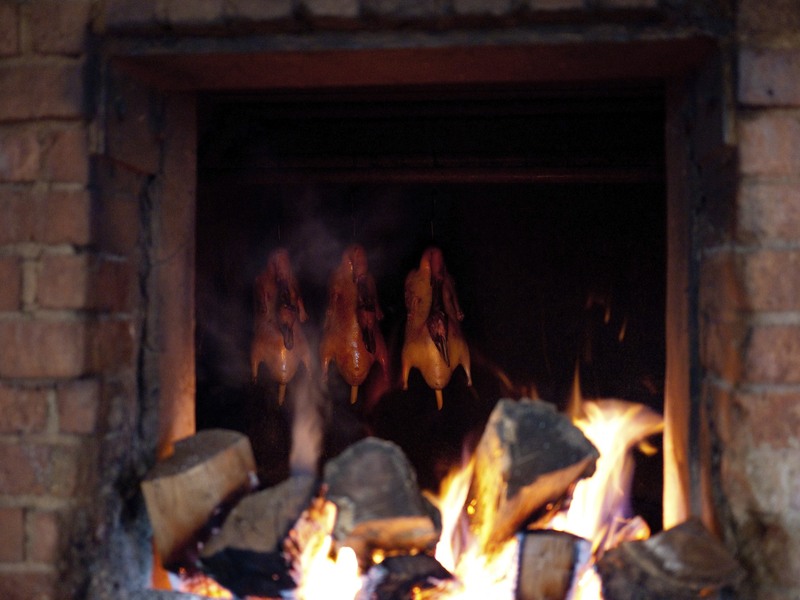 I flared my nose in olfactory anticipation as we walked past the ducks that were being given the final touches of an hours cooking in the wood oven. The manager told us that they had been inflated and the hung overnight in the fridge to separate the skin from the meat. 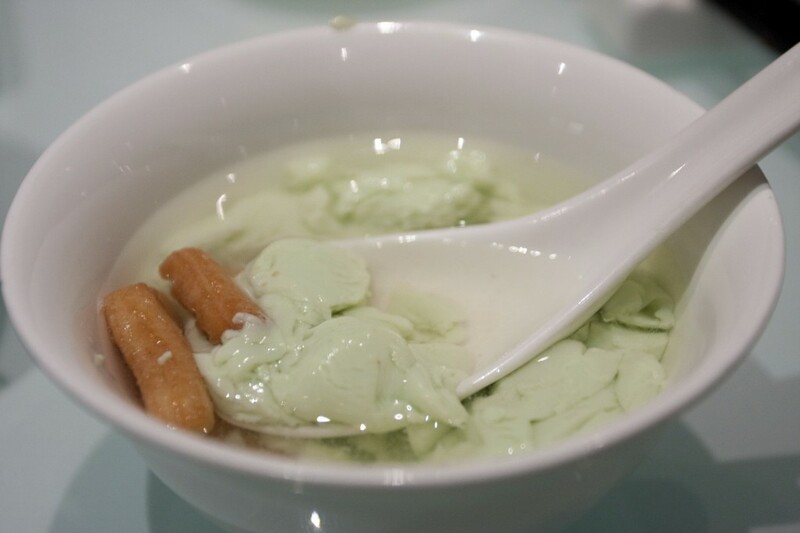 We started off with some pickled radish and dried bean curd as we waited for our dishes to arrive. 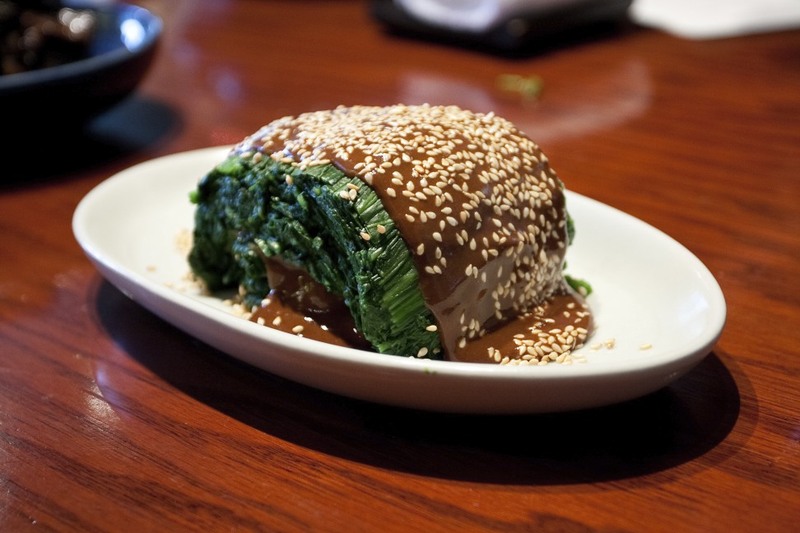 We had an assortment of three entrées starting with the Spinach leaves tossed with sesame sauce and Chinese rice vinegar, which had a lovely nutty flavour and toasty aroma. The flavours for me were more reminiscent of Japanese cuisine. 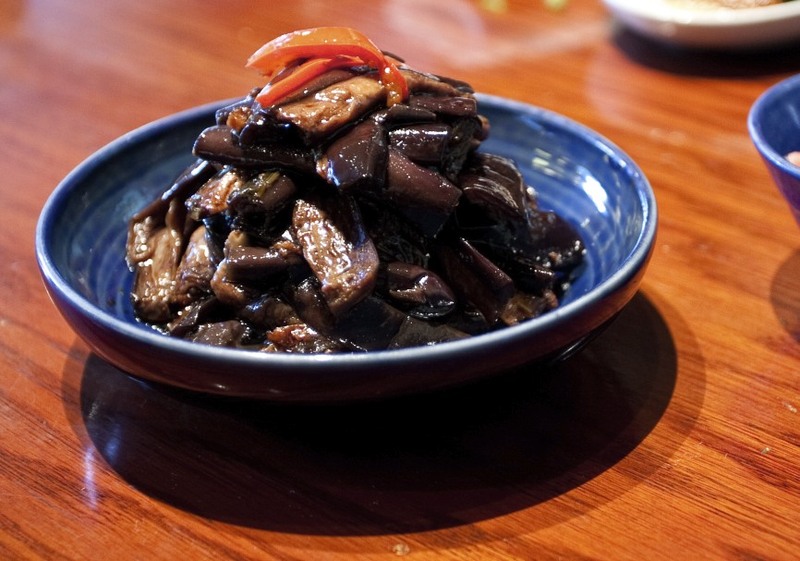 Some Steamed eggplant with Chinese rice vinegar which had a lovely texture and plenty of flavours. I particularly enjoyed the sharpness from the rice vinegar against the earthy mushroom. The last of the entrée was a rather disappointing Braised pork knuckle served with pickled cucumber, which had very little flavour and hardly any seasoning. 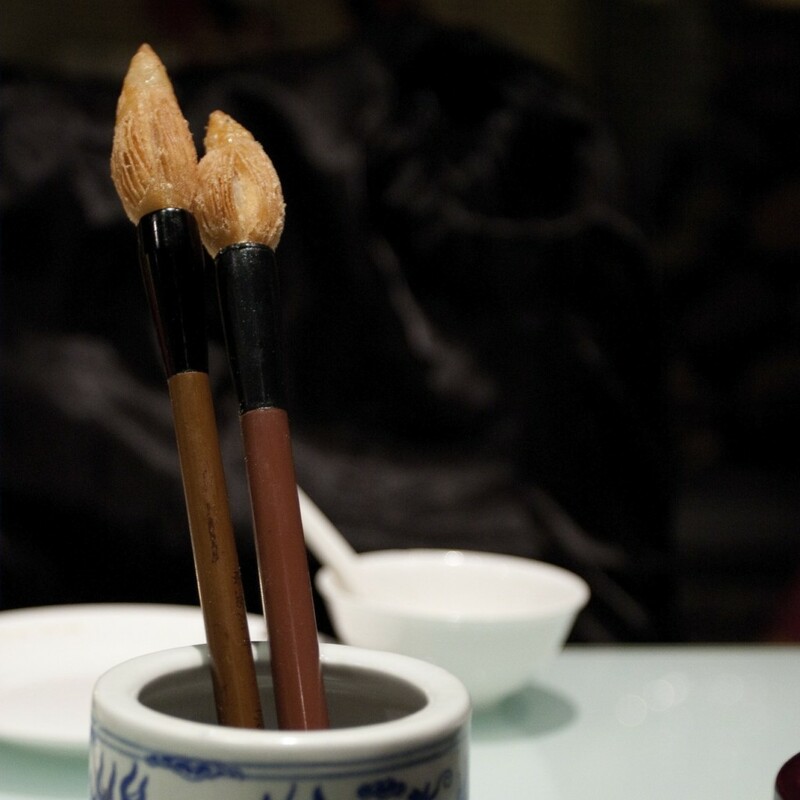 On to our main dish of the evening, the Old fashioned Peking duck from the wood fired oven with classic condiments. We were told that the skin around the wings and neck were the crispiest and most delicate, and therefore prepared first. We were advised to have the crispy skin with sugar only. It was remarkably light, flavoursome, and, contrary to expectation, not too oily. 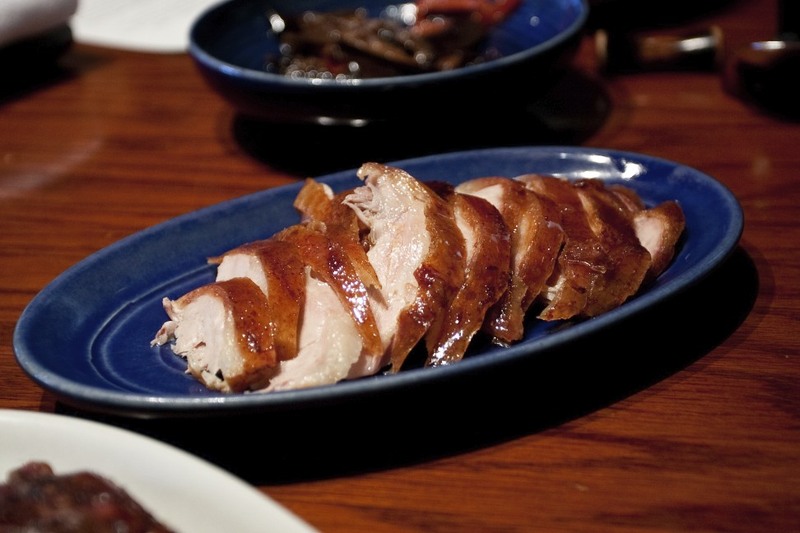 … Breast meat which also was tender and juicy but lacked that dimension of flavour and texture from the crispy skin. Some extra courses followed starting with Fried dried string beans with minced pork and preserved vegetables. 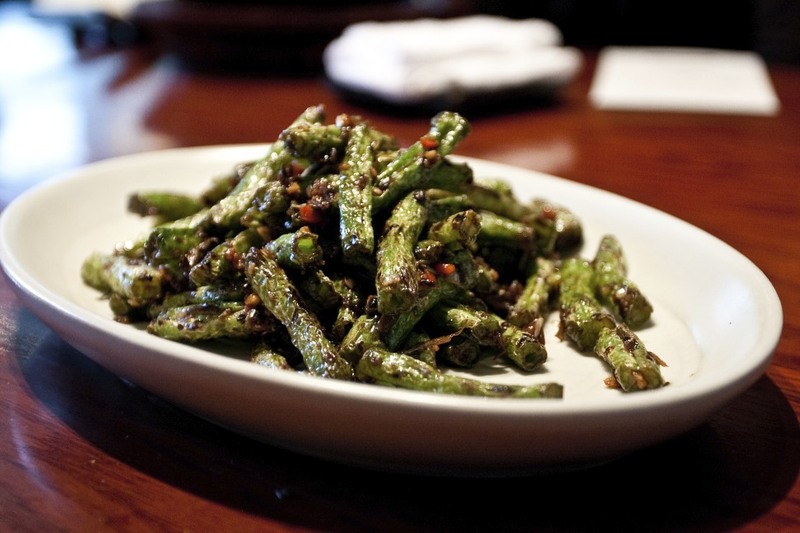 I absolutely love fried Chinese vegetables and this was no exception. Great crunch, good level of heat and a generous amount of garlic. Divine. 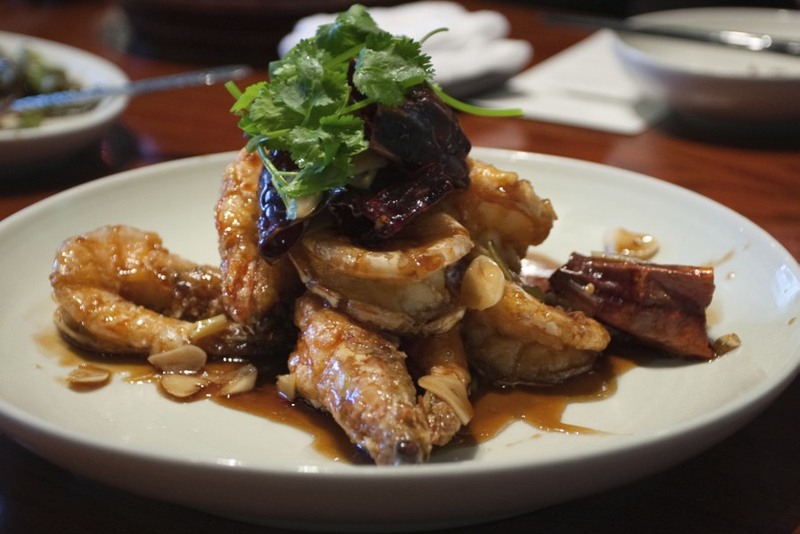 The Honey glazed king prawns with dried chilli, ginger and sliced garlic was a pleasant surprise. The crispy prawn had been deep-fried enough to allow us to eat the skin as well. I couldn’t remember the last time seeing such gigantic prawns! 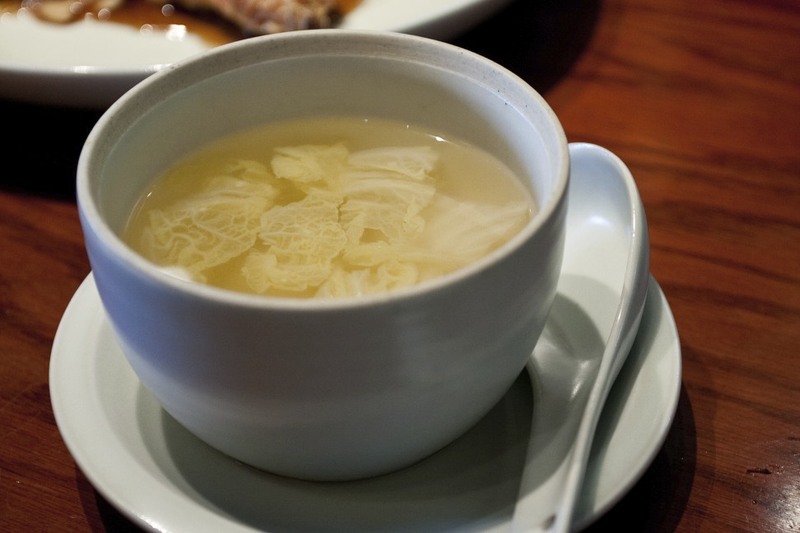 A bowl of Duck soup made from the bone which was completely absent of flavour. Perhaps it was served at the wrong time as the preceding fried courses had a lingering flavour dominating my palate. 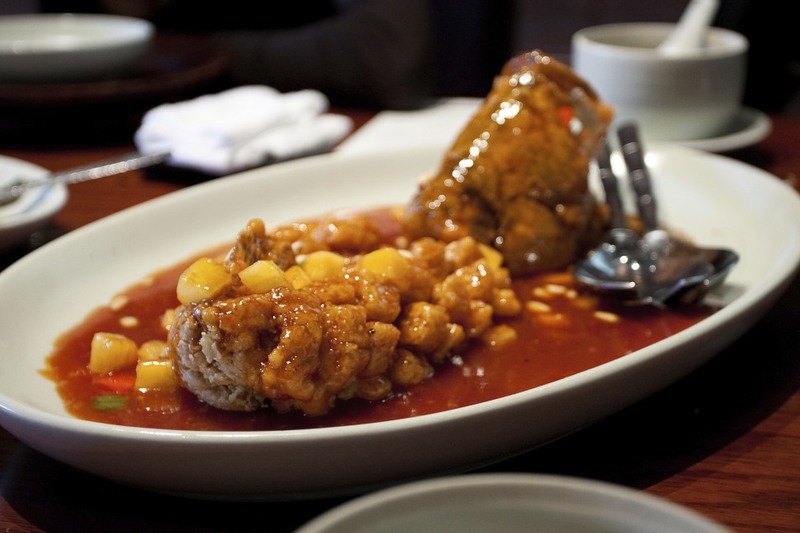 A favourite dish from Hangzhou, the Crispy Mandarin fish with sweet and sour sauce, served without bones. I’m not very keen on sweet and sour dishes primarily due to the fact that I always found an imbalance between the two elements. On this occasion, the balance of sweet and sour was spot on and consequently delicious. 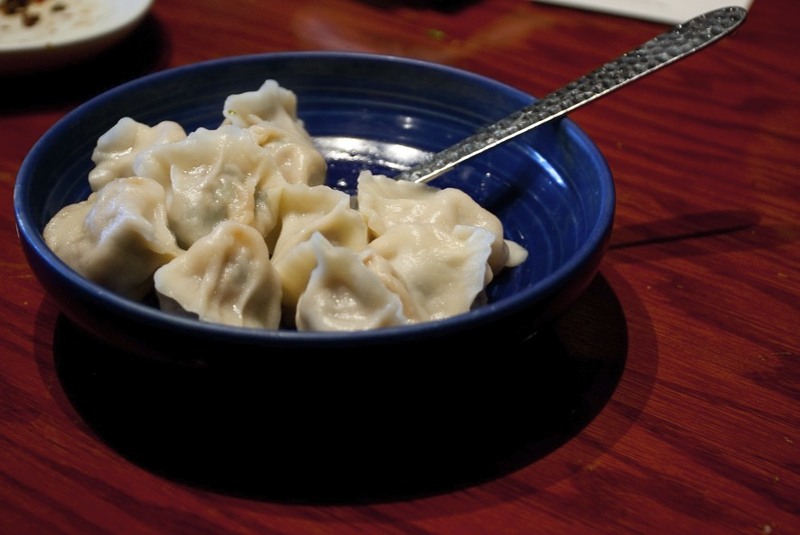 Rather than going for the conventional options of white rice as a side dish, we had some Boiled dumplings filled with mince pork Beijing Cabbage and yellow chives to go with food instead. It wasn’t bad but was no contender to the phenomenal ranges fo dumplings we had in Shanghai the subsequent week. Dessert took us all by surprise. 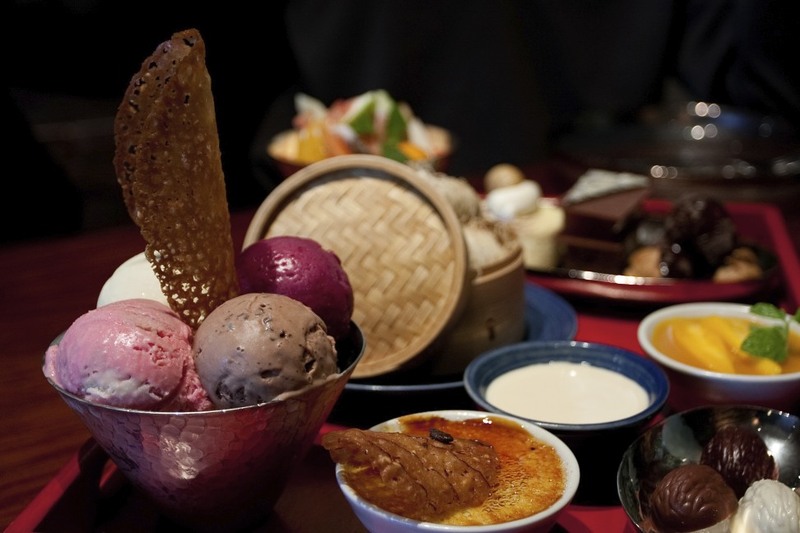 We had an assortment of desserts from the banana chocolate spring roll, cheesecake with apricot compote, a decadently rich chocolate mousse with brownie, profiteroles, ice cream with rose, lychee, vanilla and chocolate flavours with a brandy basket, chocolate with five grain liquor (wuliangye), lavendar creme brulee which was slightly lumpy and uneven in texture, mango pudding and some fresh fruits. We were absolutely stuffed! 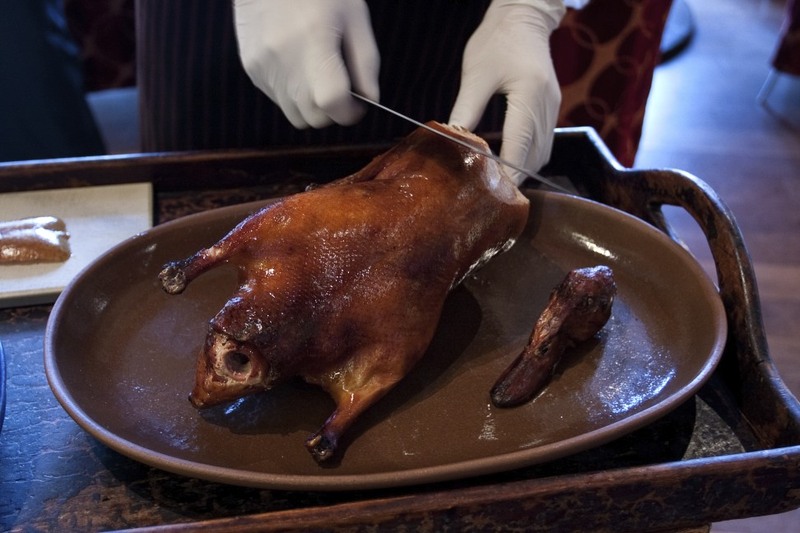 The Peking Duck in Made in China was by far the best one we had during our stay in Beijing. The bonus of course were the additional courses we had little to no expectations from, yet delivered on a high note. 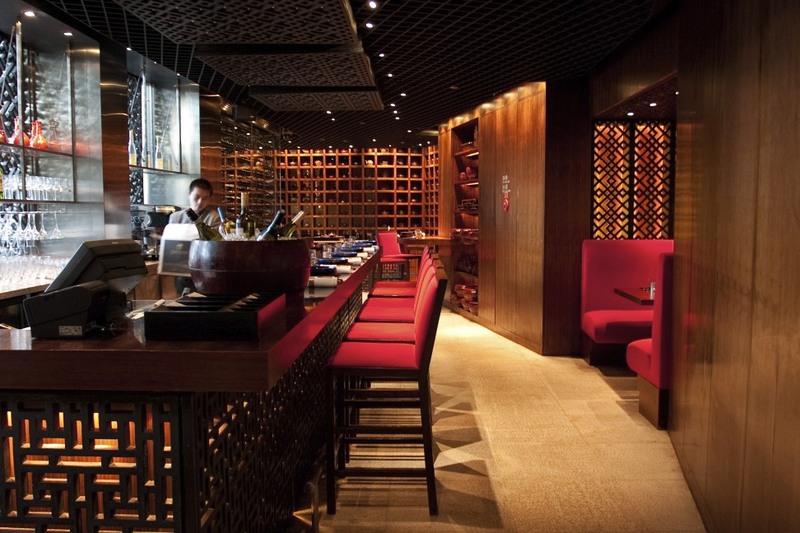 However, top end restaurants in China still have a long way to go when it comes to the business of service. Made in China was no exception with the brusque service and lack of interaction with the front of house. But given the modest price tag and delicious food on offer, it would not deter me in the slightest from coming back over and over again. Just remember to reserve your mallard in advance. 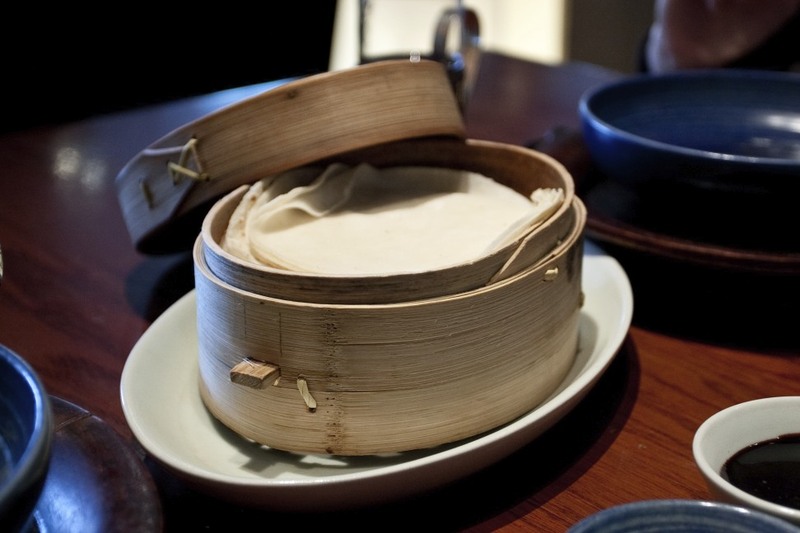 This entry was posted in China and tagged Beijing, China, Fine Dining Explorer, Grand Hyatt, Made in China, Peking Duck on June 25, 2014 by admin.